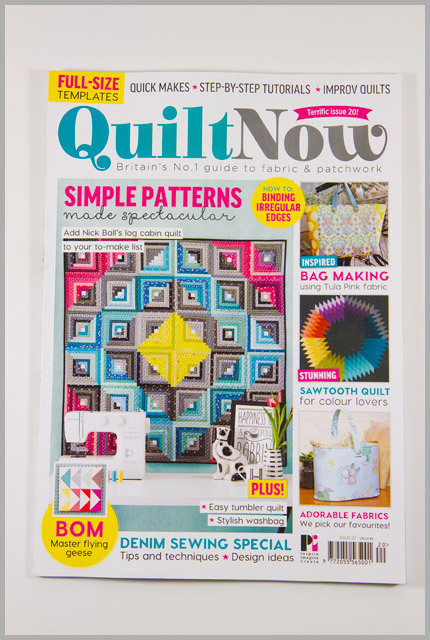 I’ve finally caught up with my Quilt Now issues, hurrah! 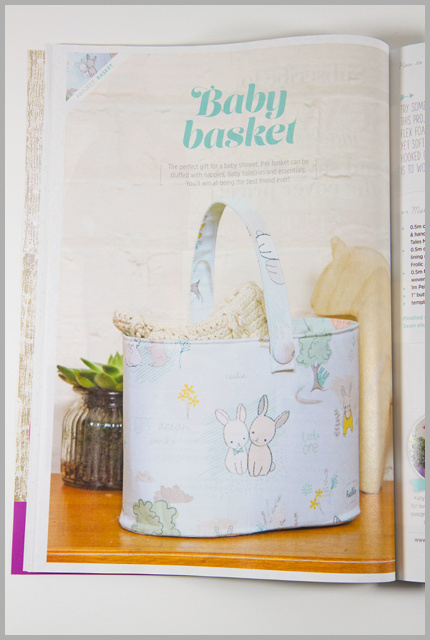 And it was worth it for this month, since I not only made the cover, but a fabric line promotion inside as well as the pattern for the actual basket that I made! Since we’re not that far off Easter I thought I’d do a little Easter basket, using the Littlest fabric line from AGF because, well, bunnies! To get the great shape, I also used Pellon’s new fusible Flex Foam, available from Fluffy Sheep Quilting, and as a fun little twist I attached the handle with buttons so the handle can be folded down out of the way when not in use. Isn’t that log cabin cover quilt fun? 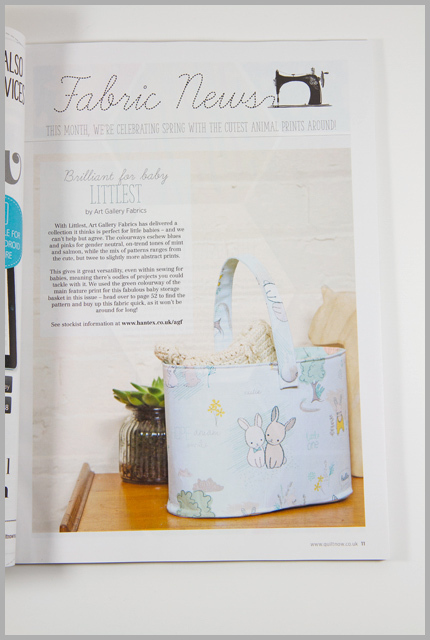 Does the basket come complete with baby or do you have to provide your own – if so, what size should it be?